It's been a wet and windy start to the kayaking season up here on Deer Isle and we seem to have woken up to more than a few mornings where the fog sometimes sits like a wet blanket on the sea. Stories of mariners finding themselves fogbound on the Maine coast are rife - the coastal fog we see here at this time of the year is advective fog where, even as temperatures rise through the day, moisture continues to condense over the cold water and so doesn't burn off as it does south of here where the water is not as cold. Kayaking in fog is a challenge which we usually avoid. That said, it's truly an experience to be on the water with the magical effect that fog has. Eerie island coastlines... islands suddenly appearing out of mist...the silence - avoid it, yes, but who would want to miss it? Navigation is made easier here by the proximity of the islands in the archipelago, each island is generally no more than one and half miles from its neighbor and usually much less. Even so, kayaking in fog takes experience and should only be done with training and with the right equipment - compasses, charts, foghorn and VHF radio. See 'Book of the Month' below for more about sea kayak navigation in fog. Shown above is a bank of advective fog which persisted throughout the day and became thicker as the tide came in. Also shown in the above photo is that long stretch of low tide mud which brings to mind another feature of paddling along the Maine coast - the effects of tide. I recently heard a story about out-of-town kayakers who were transported along with kayaks by motorboat to one of the Merchant Islands. The plan was for them to be picked up a few hours later after an afternoon's paddling. Apparently they were not familiar with the tides we get here, which run anywhere from 9 to 13 feet depending on moon phase and other factors. Some time after the drop-off a lobster boat picked up some kayaks floating without paddlers - apparently they had neglected to take account of the tide while exploring an island on foot. Their kayaks, which were parked on a beach at the waters edge, had floated off when the tide came in. Fortunately, the kayakers were picked up by motorboat some time later, somewhat the wiser. But tide is also what makes it interesting out here...at low tide on islands hidden, sandy beaches are miraculously exposed - great for exploring as are intertidal rock-pools teeming with a variety plant and animal life... sponges and seaweeds ...shellfish, crabs, anemones etc etc. Between tides, water is rising or falling at its fastest rate - as much as three feet an hour. At high tide you have the advantage of being able to park the kayaks without any risk of them disappearing on the tide. Tide charts are available online - we make a point of planning the day around the tides. And we always remember to park our kayaks well above the waters edge on an incoming tide! The special offer for returning kayakers which we announced last time is still in place. If you've paddled with us before and book a multi-day trip for any time in July, you're eligible for a free night's stay w/ breakfast (a $95 value) before the trip. Wake up on the morning of your trip refreshed and ready to go with no traveling involved. Call us at 617-957-8802 to reserve this special deal. Historically, there have been just two industries in Stonington and Deer Isle - granite cutting and also, of course, fishing. Today, lobster fishing and related activities such as aquaculture of clams and oysters and tourism are now the dominant activities here on the island. Evidence of granite workings can be seen out on the islands where discarded blocks of granite along shorelines show where stone was loaded onto barges for transfer to the town for shaping and then for shipping south to major cities - Boston, New York, Philadelphia. Today, just one island - Crotch Island has an active granite mining concern and 'low impact' tourism has largely replaced activities around granite mining and cutting as a source of income for residents of Stonington and Deer Isle. 'Traditional' fishing - for groundfish cod, halibut and flounder and larger offshore fish like tuna and swordfish has been replaced by fishing for crustaceans - lobster, crab, sea urchin and others. Lobster fishing is by far the dominant of these and the islands are surrounded with literally thousands of multicolored markers for lobster traps and 'going lobstering' is how many of year-round residents make a living. Year-to-year lobster populations are variable and there is some new evidence that the number of young lobsters in the area is falling. According to the website from the University of Maine Darling Marine Center, the American Lobster Settlement Index (ALSI) tracks the number of newly settled lobsters that repopulate rocky coastal nursery grounds in New England and Atlantic Canada. Keeping track of this part of the life history is useful since it measures the strength of an individual year class. and is useful as a predictor of future trends in lobster recruitment. A recent ALSI update from the Wahle Lab at the Darling Marine Center, reports that recoveries of growing young lobsters are the lowest they have been for twenty or more years. This is in spite of the fact that the number of egg bearing lobsters has increased. The reasons for this are not clear but could be due to increased predation of larval lobsters or a decrease in their food quality or availability. For more insight into tracking of lobster populations, visit the Wahle website. Subtitled 'A Practical Manual. Essential Knowledge for Finding Your Way at Sea', this is fantastic little book written by a Level 5 BCU coach and which, as you'd expect, is packed with information about tides, maps and charts, compass and also handheld GPS. 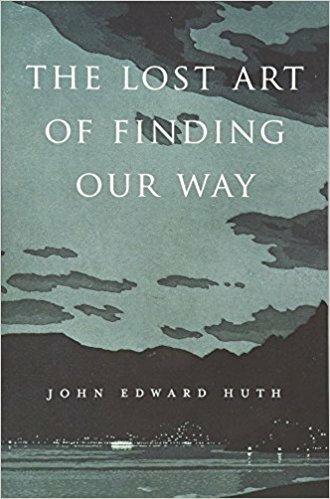 It includes strategies for crossing open stretches of water, how to use land features for positioning, how to incorporate distance estimation into trip planning and how to navigate in fog. Written primarily for expedition kayakers, it is also useful for day paddlers and explains in simple terms how you can add another level of safety and enjoyment into day trip planning. 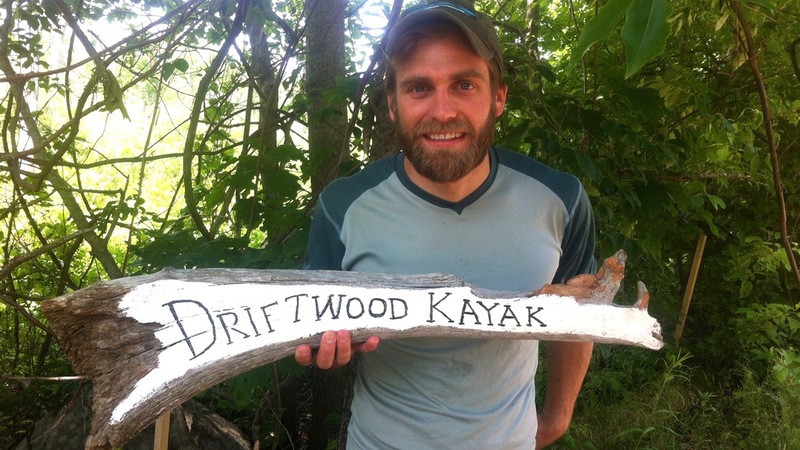 Driftwood Kayak recently contributed a blog-post entitled "The Maine Island Trail and Microplastics" to the Maine Island Trail Association's (MITA) "Tales of the Trail" series, which appears regularly in their online newsletter. MITA organizes semi-annual island cleanups of all the islands which they oversee to help keep Trail sites looking good. But that's not the only reason for the clean-ups - we're also helping to lower the plastic footprint in the form of marine debris left behind by kayakers, lobstermen and other boaters. Marine debris cause a myriad of environmental problems. Much of the debris is plastic which doesn't readily bio-degrade and simply breaks down into smaller and smaller pieces - microplastics - which are nearly impossible to remove and which are harmful to marine life. Creation of the 'Pacific Trash Vortex' is well-documented. Less well-known is the pooling of trash in the Atlantic waters. The blog-post discusses the impact of microplastics on the waters we paddle and beyond, and why it's so important to "Leave No Trace." Nena Vandebroek's "The Naked Kayaker" (nothing to do with nakedness!) is a blog about exploring the outdoors (mostly by kayak), traveling, trip planning, and coastal engineering. It currently focuses on kayaking in the Netherlands and Belgium, but earlier posts cover Upstate New York, California, and much more. In addition to the blog, check out the Water Nerd section, where Nena writes about coastal engineering and hydrology. 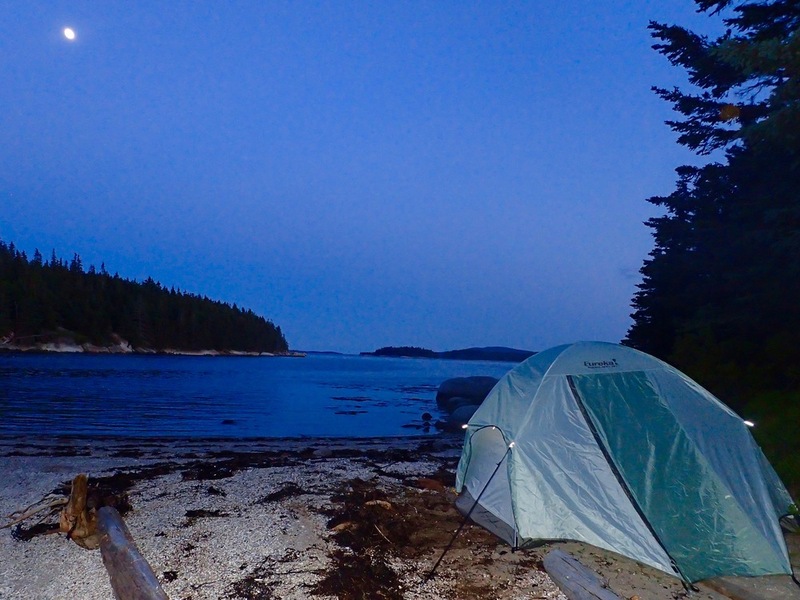 The upside of embarking on an overnight kayak-camping trip can be huge. At the very least, it’s a fun time where you’ll get a good work-out for a couple of days, hone your camping skills, enjoy the outdoors, and get to know some like-minded people who enjoy paddling. At best, it can truly be a life-changing experience, particularly when you think about the interpersonal dynamics that can develop between paddling buddies - parent-son/daughter, spouses, partners, friends, siblings, etc. On a multi-day trip, regardless of weather and sea conditions, you’ll probably experience a certain ‘discomfort level’, hopefully minor, that can be both physical and psychological. And when things work out, which is usually the case, getting over this barrier with friends/family might just be one of the coolest things you’ll ever do in the great outdoors.IAnd if it's your first overnight trip overnight trip, you may find you actually connect in a new way with your 'minimalist side'. ...then, (to paraphrase Steve Jobs), 'the light-bulb might go off' and suddenly you 'get it'.... You don’t have to be anywhere right now except here. Tonight and tomorrow seem to stretch endlessly before you, and you find that, yes, you really are living in the moment. We'd just reached the harbor after a 3-day kayak - camping trip to Isle au Haut and islands south of Stonington. Just as we finally found the entrance to the fresh-water swimming hole on Crotch Island, we discovered that at low tide there was not enough water to reach the entrance and we couldn't walk over the mud-flat - the mud was just too deep. We reluctantly gave up on our plans for a refreshing swim, vowing one day to return at high tide when there'd be sufficient water access. We had an hour or so on the water before we'd rendez-vous with our pick-up at the agreed time at the town-landing. So, instead, we slowly paddled along the shore and into one of the the waterfront working sections of the town, to check out Billings Boatyard from the water. Two of us had gone on ahead and sat in our two kayaks, a few feet apart, waiting for the others to catch up. We were both relaxed, scanning the water, looking at buoys, small boats, abandoned dock pilings and seagulls as they swooped down searching for mussels and other shellfish. Then out of nowhere, between the two kayaks, there rose out of the water and into the air what seemed like an enormous fish, two feet or so in diameter and perhaps five feet long. It was so close the kayak rocked side to side. One of us screamed (not me :). The animal disappeared. Then quick as a flash, another huge, curved form came up out of the water between us and it was another and this time I could see its face from the side and its muscular, green-gray body and its dorsal fin. Porpoises! Curious animals, there was no doubt they'd seen our white hulls and had swum over to investigate. Porpoises are sociable and are known to be attracted to moving boats. From a distance they may even have thought we were fellow porpoises - who knows? It was an amazing experience to see these animals in the wild, and close enough to reach out and touch them. Missing out on our visit to the watering-hole now didn't seem so important. There'd been no time to reach for a camera. But, you know, I'm glad. I'm just happy to still have that split-second memory of marine wild-life up close. This year Driftwood Kayak has recommended that kayakers wear shortie wetsuits. In the summertime we're paddling when the air temperature may be 80 or 85 degrees in the middle of the day. However, the water temperature in the water may only be in the mid- to high- fifties. A quick dip at that temperature wearing a swimsuit may be fine, but any length of time in the water more than that becomes hazardous or worse. If a kayaker falls out of a kayak in deep water and is not able to self-rescue or for some reason cannot be rescued by a guide or a fellow paddler, then hypothermia will rapidly set in. There have been enough serious incidents in Maine coastal waters in recent years - some of them tragic - to alert paddlers to dress appropriately. Experienced sea kayakers wear wetsuits or drysuits during Spring and Autumn. 'Dress for immersion' should also become the norm for all recreational sea kayakers in Maine in the summer months. Looking west from the hill on Harbor Island at mid-day. Harbor Island is just north of Isle au Haut, it has some fine camping sites with fantastic views of the Camden Hills to the west and of the Merchant Islands to the north. Thanks for subscribing to this newsletter, we hope you enjoy these brief monthly updates. You can always check out what's new at Driftwood Kayak at the Driftwood Kayak website or by following us on Facebook (stand by for more Facebook activity now that summer is here). We had our first three-day trip in June and had a fine time in all respects. Three of us left Stonington Harbor early in the afternoon after some discussion about our route and plans for the day. We each had a deck compass and one of us carried a marine chart of the area. We carried food for three days - pre-made meals which were frozen and kept cold in the bottom of each boat. We took frozen food rather than dried camp food simply because it tastes better and is actually easier to prepare in a camp environment. This decision turned out to be a good one and we later agreed that the meals were a great success. Our base-camp was on Buckle Island, one of three private islands on the Maine Island Trail. It's a small, uninhabited island, no more than a quarter of a mile across, wooded with mostly Eastern Pine and Red Spruce, and with a long granite ledge on the north and rising sandbar on the east side where you can watch the sun come up over Mount Desert Island. Which we did! We established our kitchen on the beach and from there launched our boats on the second day south towards Harbor Island just off Isle au Haut and then on the third day back towards Russ Island and Stonington Harbor. We had good weather, clear skies and little wind except on the last day when the paddle back to Stonington was a challenge against a gusty south-west wind. During the trip, we visited several of the islands in Merchant Row - McGlathery, Bills and Pell, each of which has its own special character. We resisted the temptation to bring back souvenirs of the trip - rocks, shells, driftwood etc., leaving 'only our footprints behind'. Instead we took photographs of artistic creations one of us made out of fragments of urchin shell and beach glass. When we arrived back at Driftwood Kayak and had cleaned out the kayaks, put away the gear and washed out our dry-bags it seemed as if we'd been away for a week! Four years ago, Chris McClay of Modern Vegan made it known to me that Driftwood Kayak needed a road-sign. How else would people find us? In the tradition implied by its name, the first sign was written on... yes, driftwood. Eclectic, artistic, cutesy and very much 'of Maine', it was carved and embossed by Derek on a piece of driftwood using his unique style of design which pretty much represented what Driftwood Kayak was in the first couple of years and still sits proudly at the entrance to the house. With help from Jessica Egmont of Eggs Nest Studio, Version 3 was more line with, yes, the Driftwood Kayak brand. Complete with teal-colored text and 'swish', passive solar lights, bordered with reflective tape, it may even be visible from Caterpillar Hill, three miles away. Safety is our Number One priority when out on the water. When the air temperature is 70 or 80 degrees in June, the water temperature can be in the 50's. Immersion for any length of time at that temperature is hazardous and potentially life-threatening. We are a 'coastal kayaking' company and do not venture out into 'open water' where in a summer squall, seas of 5 or 6 feet are not uncommon. We practice all standard safety procedures and carry at all times the following - VHF radio for coast-guard communication, chart and compasses, repair kit and medical kit, spare clothes, bilge pump and paddle-float, strobe-light, flares and whistles, tow-rope, food and water. We wear PFDs at all times and leave a 'Float Plan' when we paddle away from shore with word of our route and expected return time. We take particular note of weather and tide conditions, and use 'local knowledge' to watch out for hazards - shipping lanes, current and weather patterns and of 'safe havens' to aim for if needed. We have experience and training in self-rescue and deep-water rescue techniques in the conditions we see here in this region. In short, we do everything we can to guarantee safe paddling. We are now encouraging everyone to wear wet-suits when the water temperature is below 60 degrees. We can provide these or you can bring your own. Just one more level of safety to reduce risk when having fun in this amazing wilderness environment. Looking south from the beach at Buckle Island during a full moon.